Interesting have never seen these so gourmet! Always appreciate seeing you, sharing our blogs, and making foodie history. You know, we traveled to Palm Springs, CA once and near there is the date capital of the world. Have you ever had a “Date Shake”? They are amazing. You are so right, they are like popcorn! Just pop them and eat them all day long! Great photo! Love that you can just feast with your eyes! You are so right, the image can speak volumes! OOOOH – dates! Nothing better than slicing one open, stuffing it with blue cheese, and drizzling a little honey on top. I’ve never heard of Chinese dates before though. Hmmm . . .
You are so right, there are so many ways of utilizing the date, and this blue cheese and honey sounds absolutely appetizing! One of the professors I worked with used to bring dates back from CA with him and give them to us as gifts…. LOVED them! Oh my gosh beautiful dates! 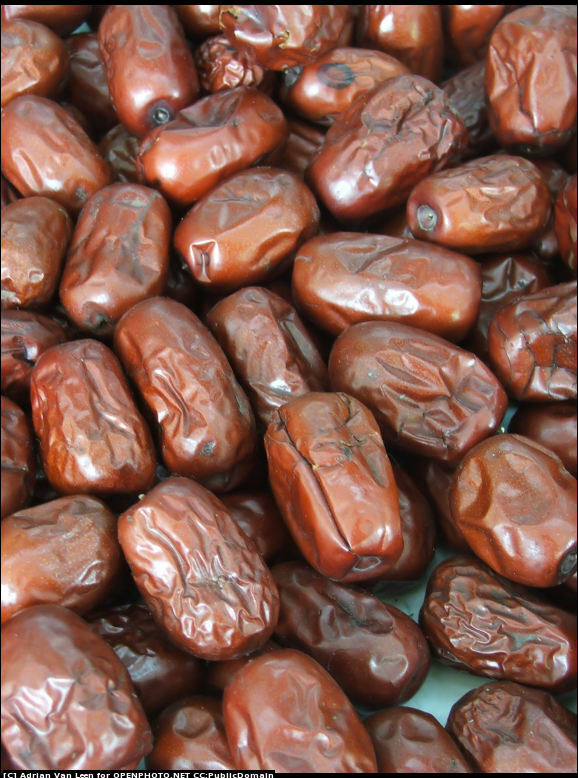 I fell in love with dates when grandma first introduced me to them. She used them in so many different ways, it was amazing. I bet that was a real treat indeed, dates are so versitle, yet so under used in cooking. So glad you were intruduced to them so early, I did not really get into dates much until about 8 years ago on a trip to Southern California. It’s interesting what images can do to our pysche. This makes me want to go out and buy dates to make date nut bread.